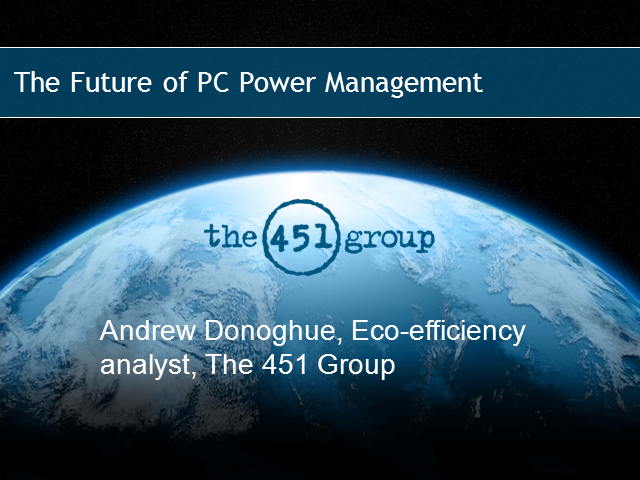 PC power management has been one of the more successful examples of so-called 'green IT' in action. Suppliers have an easy sales story thanks to compelling ROI, which is reinforced by utility rebates in the US. IT decision makers are also able to communicate the relatively simple concept of slashing electricity bills from idle PCs to budget holders further up the food chain. However, the rise of desktop virtualization, increasingly efficient hardware and better power management in Windows pose long-term threats to the market.